Artists are talented individuals. Whether they paint, draw, or sculpt, artists can create wonderful works across a wide selection of mediums. If you know people who like to design art, you can show them some appreciation by giving them gifts that can assist them with their hobby. Surprise your artist friends with these great gift ideas. One of the best things you can do for artists is to buy them new art supplies. Depending on how often they spend on their craft, artists can use their supplies pretty quickly. Shop for pencils, paint, pens, and other tools that an artist would need to keep the creative process flowing. To go complement the supplies, consider buying a storage case. That way, your friend will have an easy way to carry and store the new supplies. Several art guidebooks are available online, which can help your friends learn new skills and techniques. After all, artists are always looking for ways to hone their craft. If your friends like to draw in their spare time, buy them some new sketchbooks. Many artists go through sketchbooks very quickly, so your friends would definitely appreciate having some spares lying around. Finally, you could also buy books that feature collections of art. Artists don’t just make art; they also appreciate the works made by others. There are several art books available on the market, so pick one that best suits your friends’ interests. Many people like to draw or paint, either for fun or as part of a job. Sometimes artists do so much work in a short amount of time that they deal with hand cramps from time to time. If you know someone who has this issue, you can consider purchasing a hand massager as a gift. After putting your hand inside the device, it inflates and deflates to create a relaxing massage for the user. This helps relieve stress, soreness, and many other issues the user might be dealing with. Give this as a gift to show that you care about your friend’s well-being. Not every artist works with physical media. Some artists use tablets, computers, and other devices to create works of art. If you know any digital artists, here are some things you can get for them. If you are feeling generous, why not pick up a new art tablet? Several paintbrushes are designed to work with tablets, so purchase one of these as well. 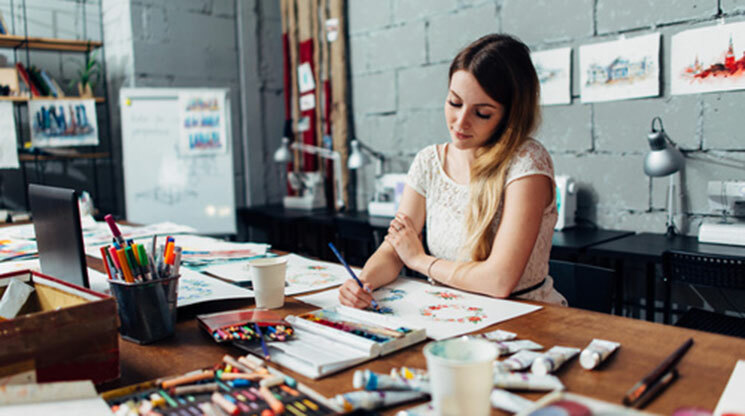 You can also consider getting a subscription to an art program like Adobe Create Cloud, which features several programs that can be used to make graphics, videos, and more.